Aren’t Christ’s standards and teachings enough, without polluting them with men’s desire to “organize”, twist and corrupt, what God has made pure? James 3:15,16; Phil 3:19 No organization in this world can be considered pure and unblemished, since Satan dabbles in all aspects of this world. By allowing an organization to motivate you and rule over you with its “organizational” standards, you allow Satan to corrupt the pure Word of God with the teachings of men, who are thieves and wolves in sheep’s clothing. Matt 7:15; John 10:9,10 You no longer believe solely in the Word of God, but a crooked version that robs you of truth, and of the glory of Christ. Jesus tells us how God expects us to worship Him. In the time of Jesus himself, here on this Earth, Jesus started an 'organisation', a group of twelve Apostles to lead the people. In that first century those Apostles set up congregations. The proof is in God's word. Paul's writings to those different congregations. The offer from God changed from being only to the Jews, to being open to all nations. I know that the GB and the JW org are wrong at this moment in time, but i think you are wrong to say there is no need for an earthly organisation to spread God's word earthwide. I don't think there has been a time when the gb nor the wt were ever right, but that is just my opinion based on the Bible itself. I also do not believe there has to be any organization here on Earth. What you said is true, the apostles did set up churches and taught them the basis of morals based on the Bible, but they did not have an "organization". There was not a group of men running the show, it was God running the show. Now I'm sure some one is going to quote Acts, Romans or Galatians, but one must read those carefully. It is not some gb making a decision, but rather the apostles condemning their practices that were made by men. OK, John. This is long, but I hope you give it a try. It was hard for me once leaving the Watchtower; thinking I had to “go” somewhere, because the Watchtower has ingrained this concept into their members. Can you see how Christ’s words have been twisted by the WT, making people believe that an organization is the way of salvation, simply because they “preach” Christ? We both know that the organization cannot provide salvation.
) Therefore, we should start directing our Bible students to the organization as soon as a Bible study is established." It seems pretty clear to me that I cannot give my allegiance to men’s “organized” way of doing things. I must rely completely on my faith in Christ and the Father. Did He say seek an organization? Are man’s ideals the same as God’s ideals? We are to take in “new wine” that Jesus has offered us; new understanding about the new Temple of God built on the anointed ones. He also said that this new way of worship will be rejected. Okay, so why are the “Jews” that “ten” men seek out, so hard to find? Because as I see you doing, you are looking for them to “organize” in the same pattern of the one you left. Restored spiritual “Israel” is “built” with God’s Spirit. They will be the “capstone”, completing God’s Temple. Zech 4:8-14; Rev 11:1-3; Matt 18:20 The anointed are gathering, but as small as they are (Amos 7:2); those believers that join them are becoming many. Ezek 36:6-11 They are spiritually “organized” according to the direction of Holy Spirit. They are a spiritual "congregation", known completely by the Father and Jesus. They make God’s “name” known; not as an organization that says it makes the name of God known, yet extols the work of man’s hands which the Watchtower has done, and then compare it to God. 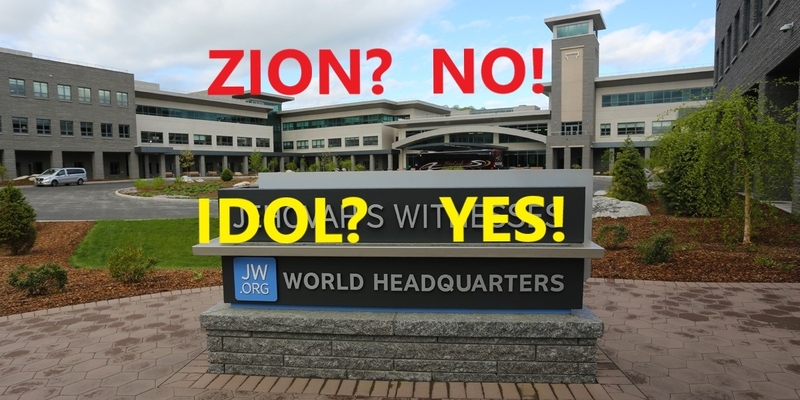 Ps 50:16-23; (Isa 46) Michael, who stands up for his people, proclaims the meaning of his name; “Who is like God?” (Joel 2:32) The Watchtower and the majority of its members claim, “who or what is like Jehovah’s organization”? During the time that the last Man of Lawless is revealed, what happens? Through Holy Spirit, the “two witnesses”/anointed ones “prophesy” and reveal the Man of Lawlessness. (Rev 4:11,14; Rev 11:1-3) Their “words”, coming from Christ, judge and condemn. I feel you may be “kicking against the goads”. Rely totally on the Father and Christ to lead you to truth. 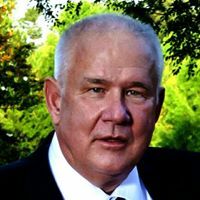 Check out the links I have given you. Understand that we are living close to the end. Armageddon is fought, not in Satan’s earthly realm, but on the “low plain” or valley of decision”, revealing the intentions of the heart’s desires. Joel 3:14-16; Matt 13:24-30 We either struggle to find and follow Christ and his truths, or rely on men’s twisted interpretation of scripture through organizational means. Both come to us in totally different ways. but an answer on the tongue comes from the Lord. but the Lord weighs motives. We will have to agree to differ. If you believe in a Judgement day / Armageddon time, then all people on the Earth have to be given a warning. The 'model prayer' asks for God's will to be done here on Earth as well as in heaven, that is one reason I fully believe that humans will live here on this Earth in perfect conditions. Though we come to this word perfect again, and I mean it in as much as conditions that God wants to exist. So i also believe that an Earthwide teaching work is needed to help people know what God wants from us. To do this the Anointed need to work together, that means being 'organised'. Whether you want to use the word Organisation is up to you. But in my opinion the work needs to be organised. I have no idea who the Anointed are. I have no real idea of what truth is anymore. I have no idea when the Judgement day will come. BUT, I am not prepared to listen to just anyone that says they are anointed. I have what i will call snippets. Little bits of what I believe. But I'm a simple practical man, hence I complain about the Child Abuse, because it's a simple practical issue, though some on here try to complicate it, to make excuses for their leaders. Although I no nothing for sure, it is my feeling that the Judgement day / time, is a long way off. My reasoning is that people need time to find the 'truth' from God through Jesus Christ, and conditions need to be much worse Earthwide so that people can see the seriousness of it all, and see the need for God's rule to take place..
Now i will be 70 this year, so i do not think I will see the Judgement day. And God's word says about the resurrection of the righteous and the unrighteous. I am definitely of the unrighteous, but if I'm right my death will guarantee me a resurrection. Time will tell. I agree with this by Revelation stating that heaven will come down and God will dwell with His people. I am not prepared to listen to just anyone that says they are anointed. wise decision and mine as well, because only God knows and if we seek Him, He will direct our paths. The Bible says you don't have to be. You can have your sins washed clean, right now. This is why Jesus died for us. If we come to Him and ask Him, He will wash us clean and take our blemishes and cast them away as far as the east is to the west so that you may stand before God and know you are covered. A GB? It was Holy Spirit. We have never read in the scriptures that the apostles and believers upheld and extolled an “organization” in Jerusalem. A GB? It was Holy Spirit. Acts 8:26,27 We have never read in the scriptures that the apostles and believers upheld and extolled an “organization” in Jerusalem. Through Holy Spirit, the “two witnesses”/anointed ones “prophesy” and reveal the Man of Lawlessness. (Dan 8:11; Rev 11:1-3) Their “words”, coming from Christ, judge and condemn. 2Tim.2:3-4 reads; "3 Join with me in suffering, like a good soldier of Christ Jesus. 4 No one serving as a soldier gets entangled in civilian affairs, but rather tries to please his commanding officer." s not require, material riches. The only purpose mentioned, for the money sack that the disciples of Jesus had, was to give to the poor. The zeal of Jesus for his Father's house, made him express with outrage, his offense that commercialism should have anything to do with worship. Paul made clear that when Jesus said; "You received free; give free" (Matt10:8), that those whom you feed spiritually, should not be obliged to give money (or anything else) to you. That is what we see in Rev.13:17... that the Wild Beasts set up a monopoly of spiritual provisions. The WT is guilty of violating all these verses. Obedience, service, and worship, are also "goods" that should belong to God, but at times, men also covet them in exchange for spiritual food. The WT stated; ""we may be asked to do something by Jehovahs' organization, and we must be ready to obey even if it does not seem reasonable from a human standpoint or not". Why would such blind obedience be necessary, if the scriptures really directed a course of action, among those supposedly dedicated to God? If the scriptures are Not behind a directive... then no man has a right to expect, conformance! Rom.6:16 makes clear, that whoever we obey, we are their slave. 1Cor7:23; Luke4:8 and Gal1:10 make clear, that we must only obey and serve God and Christ. Whatever we do, must be directed, by them. In loyalty to God and in exclusive devotion; genuine Christians, are guided only by scripture... not by an unreasonable demand by human beings.